Number One! - Math Games: Fun! You are here: Home / Printable Fun / Activities / Number One! Have fun while learning when you use these great printable activity sheets. 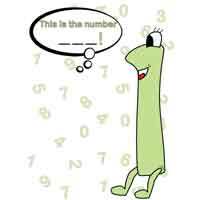 The happy illustrations will get even the grumpiest learner excited about numbers. Complete them together and fall in love with learning and numbers!